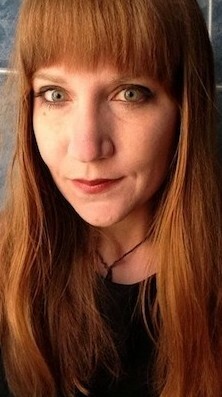 I’m Donna Yates, a research fellow and a archaeologist in a criminology department at the University of Glasgow. I can usually be found in Glasgow, Boston, Kathmandu (lately), or La Paz. Sometimes other places. I have a PhD and a MPhil from the University of Cambridge and a BA from Boston University. All of my degrees are in archaeology but my interests and experiences are diverse. I study antiquities trafficking, archaeology, art crime, politics, race, heritage, & Latin America. I am gainfully employed by the University of Glasgow and am based at the Scottish Centre for Crime and Justice Research where I am part of the Trafficking Culture Project. More about professional me here. Whales, Bolivia, Mount Everest, Conquest accounts, baseball films, 18th century portraiture, the 18th Dynasty, sea voyages of discovery, earrings that look like ancient stuff, “x” pronounced “sh”, Belize, vinegar, decipherment, “uncontacted” peoples, lost film, sound heritage, nautical paintings, Paul Revere, tropical fruit, daguerreotypes, privacy, red wine, being warm, the idea of “Indigenous”, brontosaurus, forgeries. Celery, putting duvet covers on, the phone, being insincere so as to not hurt feelings, putting dishes away, being cold, gin, salt, lying, chopping garlic, obligation, gendered expectations, the ‘comments’ section, aniseed, false provenance, m-dash, white wine, altitude, surveillance, the idea of “Indigenous”, apatosaurus, mopping the floor.